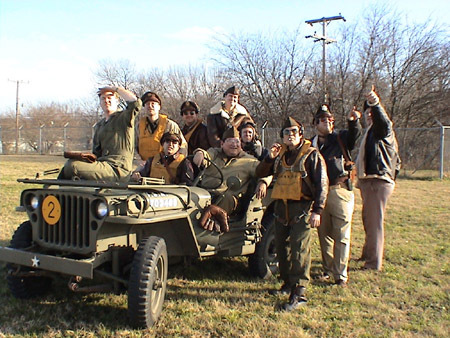 The purpose of our group is to represent and honor those who served with the US Army Air Forces during WWII. Through public events we hope to educate the public about this period in history through living history displays, exhibitions of artifact collections, public ceremonies and events, and educational programs. Our group attends air shows, parades, veteran's reunions, and other functions in period uniforms. Our mission is to preserve history, as well as the artifacts of that period, and pass down to future generations that these veterans paid a price to preserve our freedom. Our group encourages authenticity in uniforms and gear, and proper military discipline and protocol, in an effort to properly represent those who served.